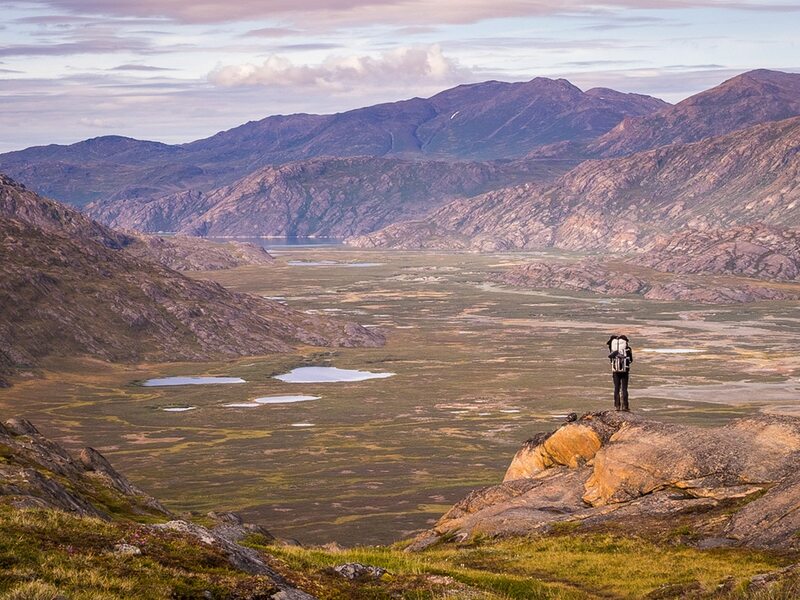 Greenland’s most famous hike, the Arctic Circle Trail, stretches for 160km along one of the longest sections of ice-free land on the world’s largest island. 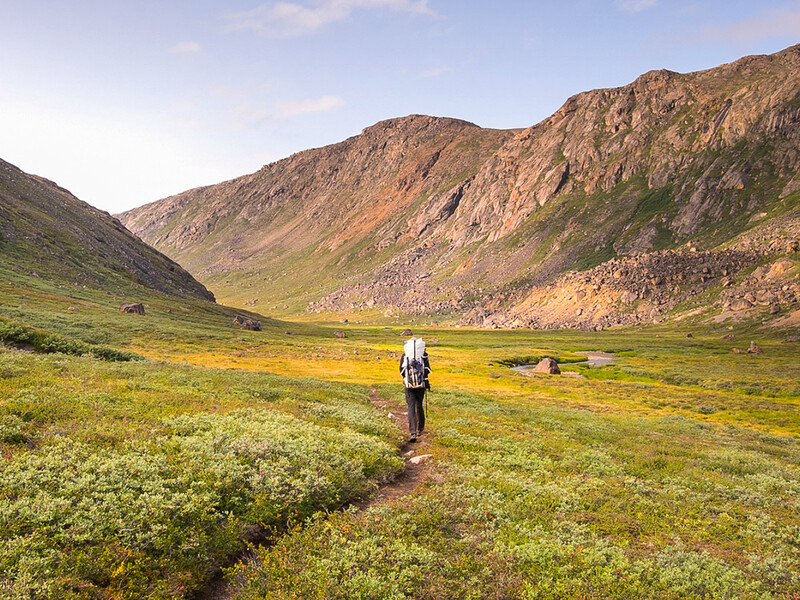 Typically done over 9 days (as suggested by the locations of the huts), this remote hike takes you through rolling arctic tundra, which steadily becomes more dramatic as you approach the coast. This is one of the few trails of the world where you can hike for over a week and have no contact with civilisation. 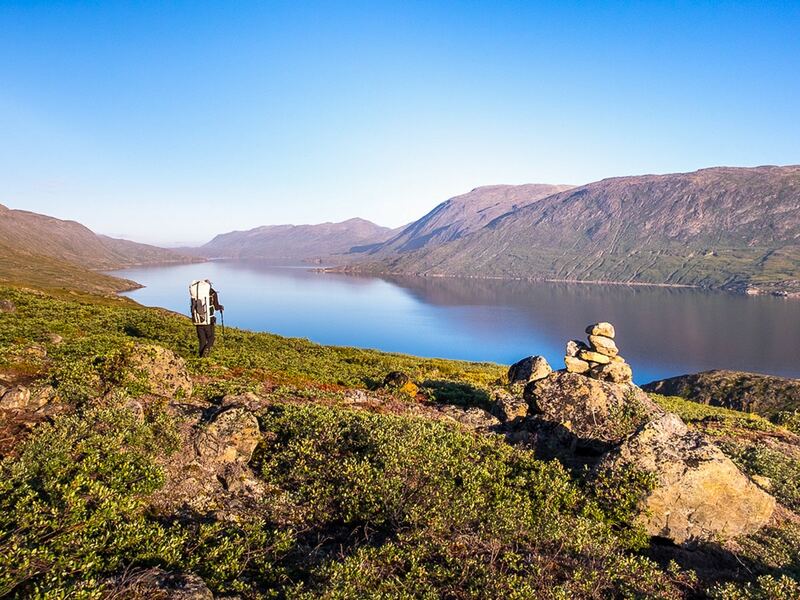 And despite the fame of the Arctic Circle Trail, even at the peak of the hiking season, you will likely not see another person for most of the day. Closest Major City: Kangerlussuaq. Note that although Kangerlussuaq is Greenland’s international airport, the town is tiny. Only 500 people live there, most of which service the airport or tourism, so do not expect to arrive and be able to purchase everything you need for the hike. You will be able to get gas and basic food supplies, but not much more than this. You can get direct flights to Kangerlussuaq from Copenhagen. Start: Kangerlussuaq. 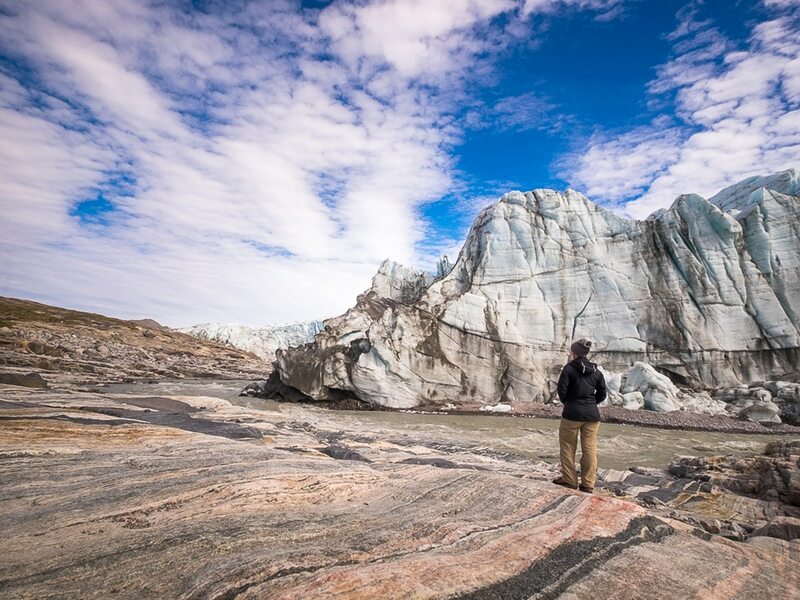 You can do this hike in reverse – from Sisimiut to Kangerlussuaq – but I recommend hiking “from the Icesheet to the Ocean”. End: Sisimiut. You can fly back to Kangerlussuaq and then Copenhagen, or better yet explore Greenland a bit more. Accommodations: Camping. 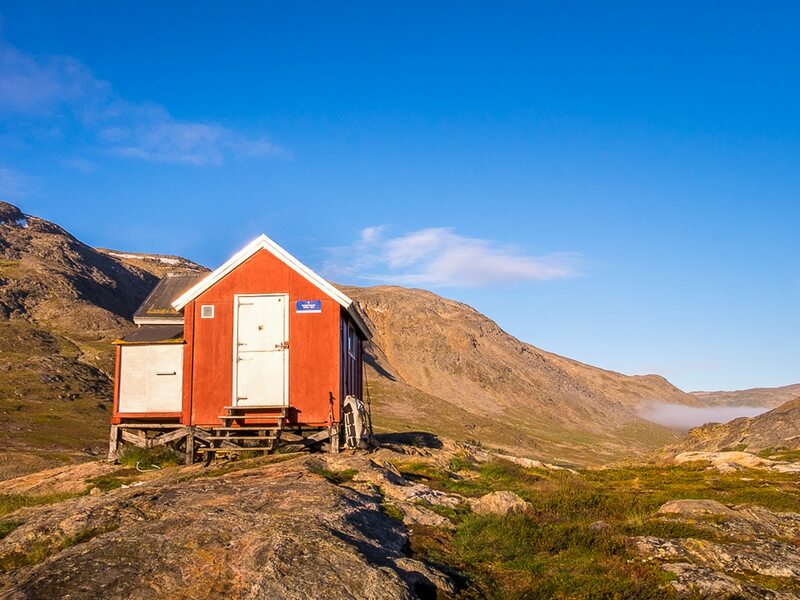 There are 9 basic backcountry huts on the Arctic Circle Trail, but most are very small (they sleep less than 6 people) and may be full when you arrive. You must bring your own tent. Costs: There are no costs associated with the trail, nor for the use of the huts. Length: 9-12 Days, depending on where you start/finish. When to Go: mid-June through mid-September. If you want relatively pleasant temperatures and to avoid the worst of the Greenland mosquitoes, your best bet is to aim for August. This is a very remote trek where there is literally nothing but wilderness and a few backcountry huts along the way. It is not a technically difficult hike and it is quite well marked. However, given its extreme remoteness you should only consider it if you already have multi-day hiking experience and appropriate equipment. There is no cell phone signal and nowhere to buy anything once you leave the start point, so you must be fully self-sufficient for the duration of your trek and prepared for changeable and sometimes extreme Arctic weather. 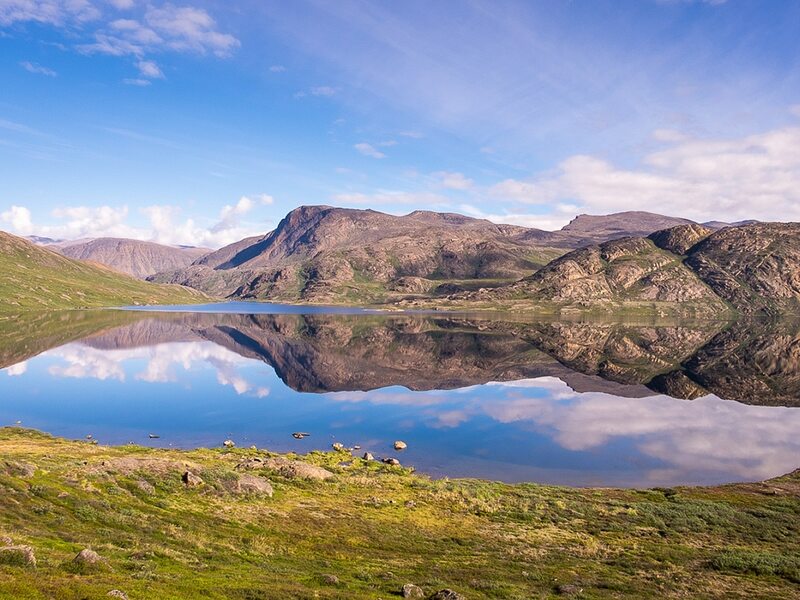 Water in Greenland is reported to be safe to drink, even directly out of streams and lakes. 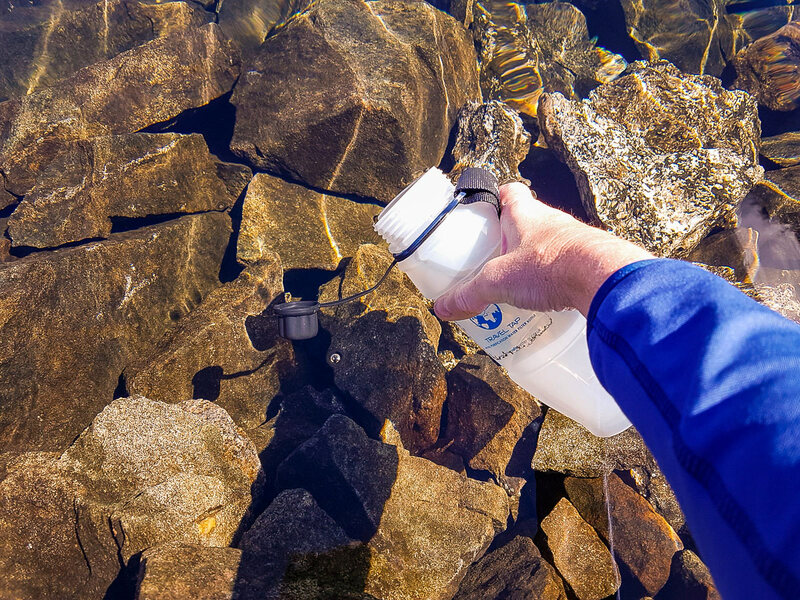 So although you may be carrying more than a week of food plus all your camping gear, you only need to hike with a 1L water bottle. You can purify if you like, but most people find that there is no need. 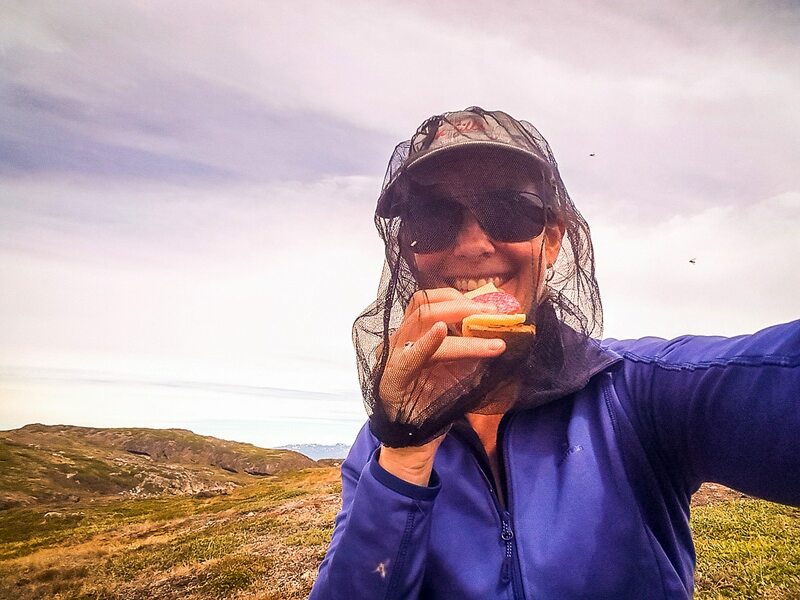 Although the Greenlandic mosquitoes are insanely annoying and their bites can be very itchy, they do not carry any diseases. Even if you think you are going to miss the worst of the mosquito season, I recommend bringing a head net and insect repellent with you to save your sanity in case they find you. One of the most important things to be prepared for along the trail is the changeable arctic weather. Although the days can be relatively warm (up to 15 degrees Celsius), nights are generally quite cool and it has been known to snow during the height of Summer! Make sure you pack a base layer, mid layer, and a wind and waterproof layer at least, even though this is a Summer hike. You will also likely need more than a Summer-weight sleeping bag if you want to sleep well. Think very carefully about what will happen if you require emergency medical assistance in the middle of the hike.  There is no cell phone coverage, so realistically the only way to let the outside world know you need help is with a personal emergency beacon. Make sure you are carrying one! Also make sure that your travel insurance includes helicopter evacuations, as there is no other way to reach you while you are on the trail. 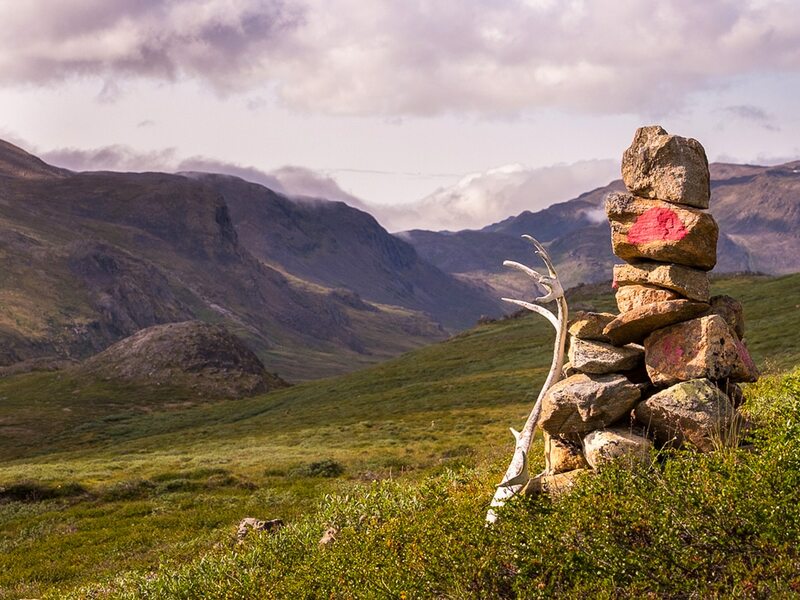 The trail starts at Kangerlussuaq and, after the first 16km along a dirt road, stone cairns painted with red half-suns (a nod to the Greenlandic flag) lead you off across the arctic tundra. For the first few days, the scenery is largely rolling hills and an uncountable number of lakes and mountain tarns. The hills gradually become more dramatic as you head towards the coast – a function of the retreat of the glaciers and the greater amount of time the weather has had to erode the landscape. 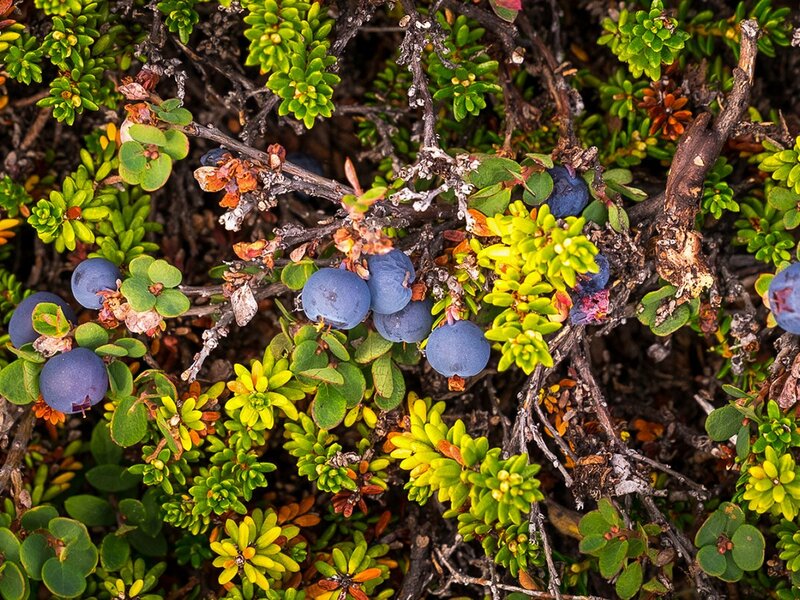 Ground-hugging bushes including wild blueberries and crowberries (feel free to pick them if they are in season to add to your meals!) 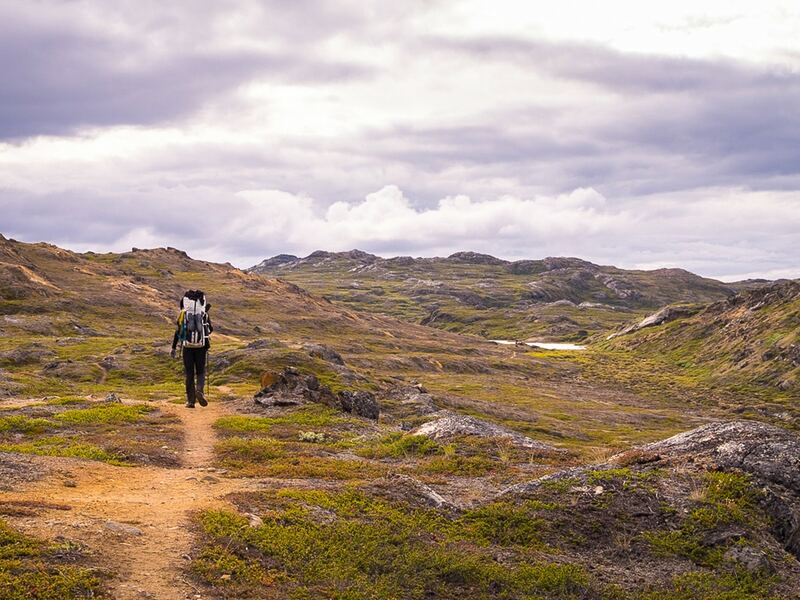 line the trail, as do a surprising number of beautiful Greenlandic wildflowers. And you should keep an eye out for Tuttu (reindeer), Umimmak (musk ox), Ukaleq (arctic hare) and Terianniaq (arctic fox) as you go. 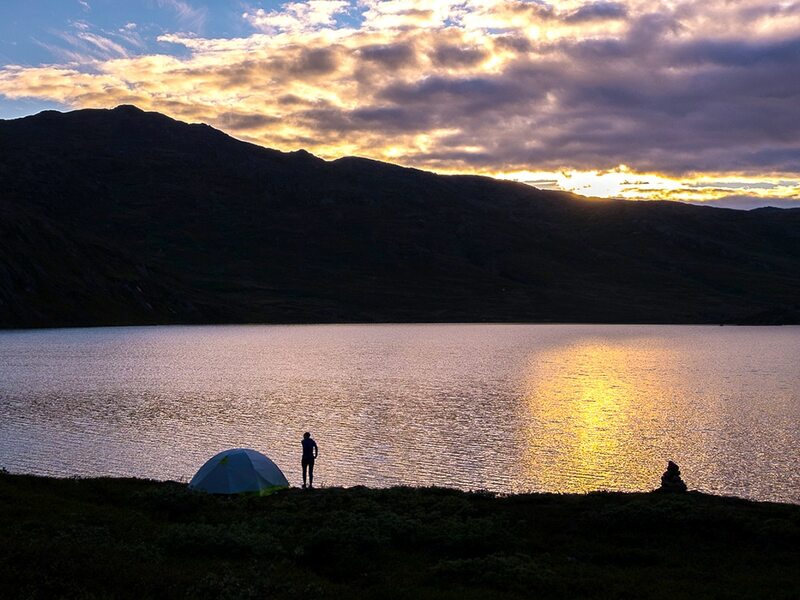 Although there are 9 basic backcountry huts spaced along the route from Kangerlussuaq to Sisimiut, you must bring your own tent and everything you need to camp. Most of these huts are very small with space for a maximum of 6 people (in a pinch!). The exceptions are the Canoe Centre (the largest on the trail), the Lake House, and Kangerlusarsuk Tulleq Nord. 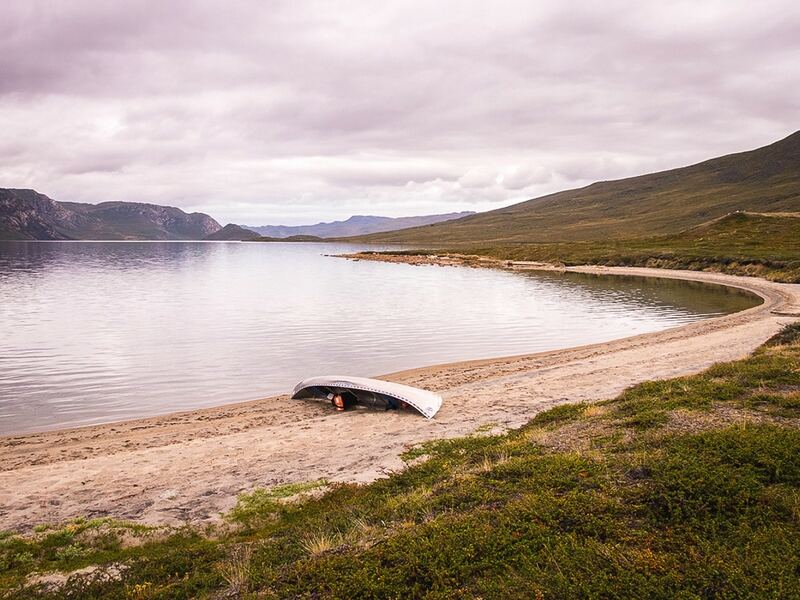 Part of the joy and adventure of the Arctic Circle Trail is the fact that you are truly in the middle of nowhere and you can camp wherever you like (you can free camp anywhere in Greenland). If you want to maintain your sense of solitude and avoid other hikers, plan your sections to arrive at the huts around midday and free camp during the evening. Be sure to study the map carefully to choose an appropriate campsite. There are several parts of the trail that are very boggy and the next good campsite may be a lot further than you expect. You must bring all the food and gas for the duration of your hike with you on the trail. There are no little kiosks along the way where you can top up your supplies. What you start out with must last until you reach the end point. Think carefully about what you will eat and ensure your meals pack down small and are calorie dense for their weight. I also recommend bringing food for at least one extra day on the trail, as you never know what might happen given the arctic weather in particular. Day 00 (optional): Hike to Russell Glacier 12km. 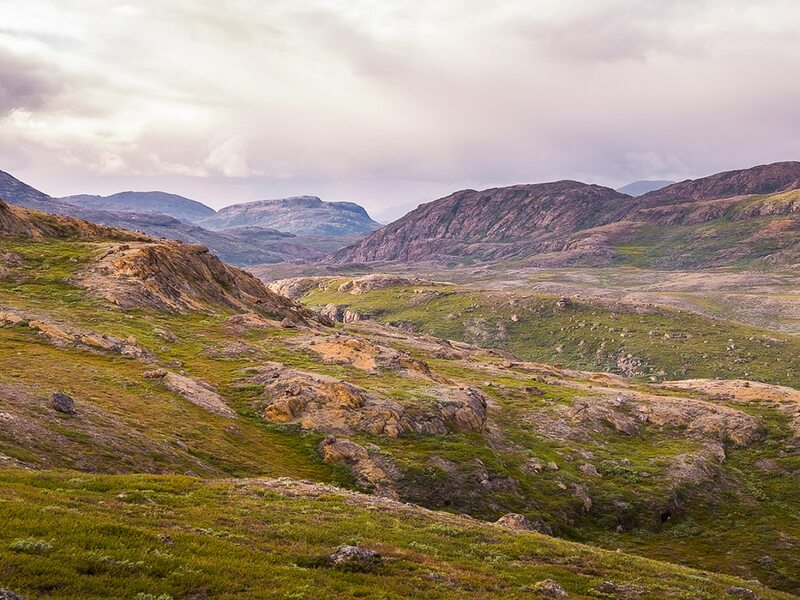 You can skip most of Day 1 (the part along the road) by arranging a transfer from Kangerlussuaq to Kellyville and hiking all the way through to Katiffik as your first day. This is what I did. Day 5 is a short day and most of us chose to keep walking and wild camp on the shores of the lake at the 18km mark (GPS coords: 67.015785 -53.000401). To reach the Kangerlusarsuk Tulleq Nord hut, you need to leave the trail and head down to the head of the fjord. I highly recommend this option. 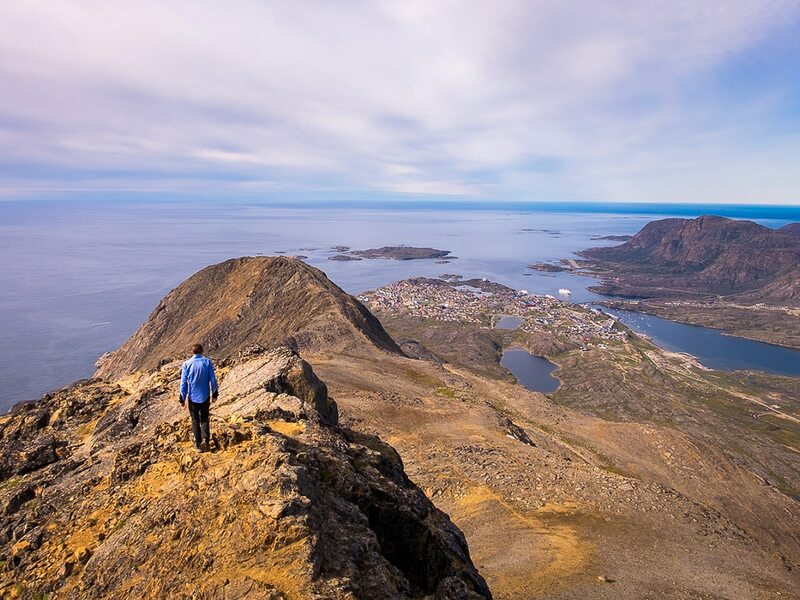 An amazing route option is to spend an extra night at the end on Nasaasaaq mountain, just outside of Sisimiut. 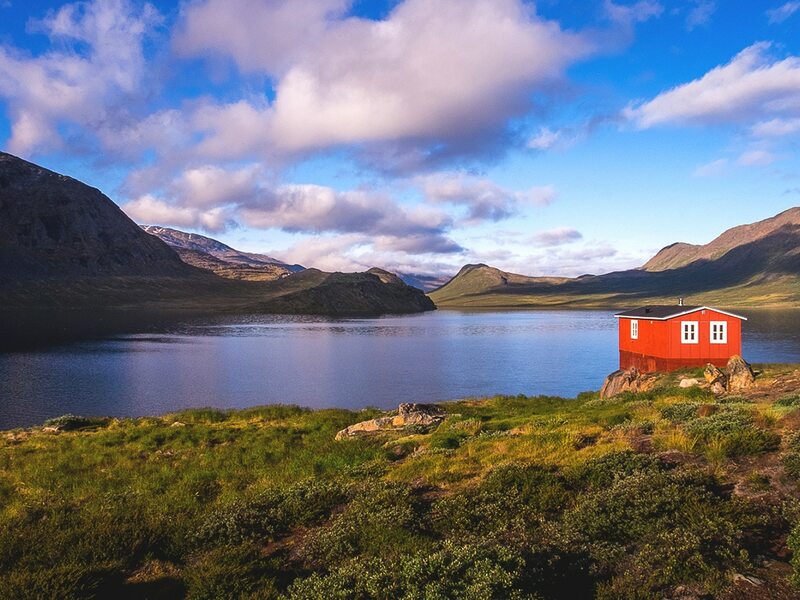 From the Kangerlusarsuk Tulleq huts, follow the Arctic Circle Trail and keep an eye out for a cairn painted with both blue and red markings (GPS coords: 66.93734 -53.559746) and a trail leading up the mountains to your left. Wild camp at the saddle point and (if heights and a bit of rope work doesn’t worry you) climb the summit for a spectacular view over Sisimiut and the surrounding area. If you are not up for a technical ascent, head out to the rocky bluff at the western end of the ridge for a similar but not quite 360 degree view. Written by: Lisa Germany – you can read Lisa’s extensive trip report on the Arctic Circle Trail. She also wrote most of Visit Greenland’s go-to guide for the Arctic Circle Trail.